A quality, full service, 3rd generation boat yard where customer service always comes first! Serving So Cal since 1964! We're here for you! Get into Marina Shipyard to get your boat in ship shape! The growth we've experienced since our founding in 1964 did not happen by accident. It is the result of individualized attention to every customer's job no matter how large or small, no matter how standard or customized. Our dedication to exceptional service, cost effectiveness and efficiency has grown our company to an over 8000 returning customer portfolio today. What sets us apart is having the flexibility to tailor our services to meet the specific needs and concerns of our customers which, not surprisingly, has produced a customer retention rate which is unheard of in our industry. 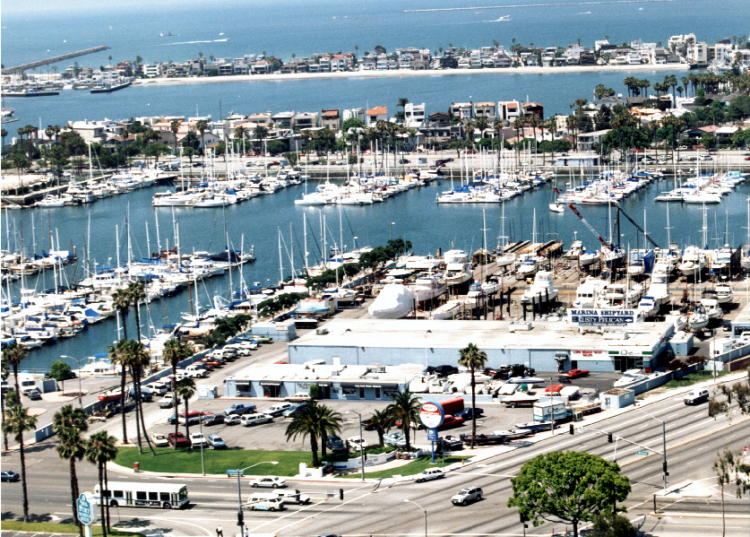 Our facility is located on 5 acres in Alamitos Bay at the corner of 2nd Street and Marina Drive, visible from the 2nd Street bridge in Long Beach, California. We are within walking distance of Hotels, Restaurants and Grocery Stores for your convenience. Marina Shipyard offers you three generations of experience and has been family owned and operated since 1964. Customer Service and a Job Well Done are our greatest concerns. You can rest assured that when you place your vessel in our care you will receive satisfaction in knowing the job will be done right the first time. We have an extensive range of Professional Marine Services to offer all in one location which are available either directly from Marina Shipyard or it's wide range of tenants on site. View our services. We are environmentally friendly, view our green policy.